The road map was developed to help governors, their senior health policy officials, state lawmakers, state health information technology (IT) officials and state legislative counselors evaluate and implement changes to achieve better health, better care and lower costs, by increasing the flow of clinical health care information between health care providers while protecting patient privacy, as a step toward nationwide interoperability.1 The path to interoperability is not linear; every state is starting from a different statutory, market and infrastructure standpoint and will have different goals to achieve and obstacles to overcome. As a result, each state can adapt the steps in the road map to meet its individual needs. Ultimately, nationwide interoperability will allow providers inside and outside of health care to share information critical to health and social welfare, including clinical, claims and social services data at the individual level as well as for overall population health and research. The road map, however, is not a comprehensive guide for every aspect of statewide or nationwide interoperability; rather, it is intended to highlight the policies and processes states can consider to increase the flow of clinical information between providers as one component of interoperability. 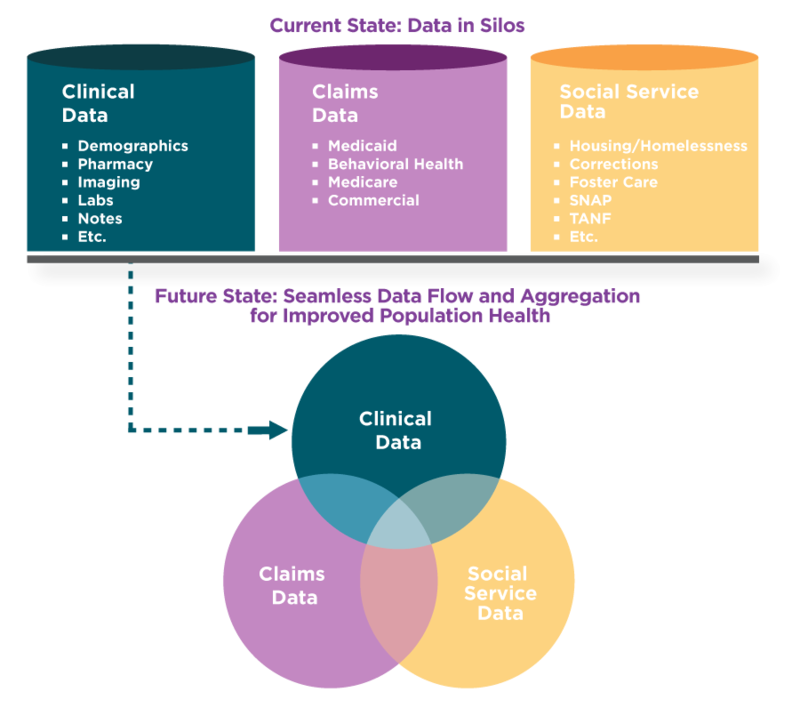 This road map specifically focuses on clinical data flow between providers, with recognition of its importance to the broader shift toward health system transformation and improved population health. Supplemental information about how clinical information is exchanged between health care providers today and the challenges and opportunities states face in seeking to enhance interoperable exchange of information between health care providers. The NGA Center interviewed more than 90 state officials, health information organizations (HIOs), health care providers, health systems, health IT vendors, researchers and other national experts to inform development of the road map. In addition, the NGA Center conducted an experts roundtable that brought together more than 30 experts from across the country to discuss strategies available to states to move the needle on health care provider information sharing. The road map reflects the insights and experience of the many experts consulted during its development.